Nearly 2 million warned to flee destructive Hurricane Matthew in the U.S.
Hurricane Matthew has caused the deaths of 140 people, mostly in Haiti, and that toll is expected to rise. Aid workers who have been able to reach the most heavily damaged areas report near-total losses. The U.S. mainland is the storm’s next target; Florida, Georgia and South Carolina are already under a state of emergency. Gwen Ifill gets an update from FEMA Administrator Craig Fugate. GWEN IFILL: It keeps coming closer and getting stronger. Hurricane Matthew’s winds are back up to 140 miles an hour as it plows toward Florida tonight, in its wake, up to 140 dead, nearly all of them in the island nation of Haiti. From the skies above Southwestern Haiti, the destruction looks complete. Entire neighborhoods have been wiped out in Jeremie, the region’s main city. MAN (through translator): All the money we had has been lost. Everything is lost. We’re lost. We don’t know. We could see the destruction, and we asked for help, but no. GWEN IFILL: Aid workers are finally getting to some of the most heavily damaged areas, and they’re reporting near total losses. Holly Frew with the aid organization CARE is monitoring the situation from the Haitian capital of Port-au-Prince. HOLLY FREW, Emergency Communications Officer, CARE: About 80 percent of the buildings and homes are damaged or destroyed in that area. Everyone is kind of in a state of shock. It’s just utter devastation in that western side of southern bluff where the hurricane eye just took a direct hit. GWEN IFILL: Despite the sweeping destruction, Tim Callaghan with the U.S. Agency for International Development, is holding out hope that the human cost may be less than feared. TIM CALLAGHAN: The damage observed from the air was structural damage and not heavy rain damage. A lot of people were not observed in the aerial overflight, which would indicate that people were in shelters or people were in homes. GWEN IFILL: Eastern Cuba is also assessing damage from the hurricane’s passage, and, overnight, the storm blew through the Bahamas, too. The U.S. mainland is the next target, with Matthew expected to blast north along the entire length of Florida’s Atlantic Coast beginning tonight. After that, it’s likely to rake Georgia and South Carolina, before weakening and veering out to sea. Overall, about two million people in those states are being warned to flee. GOV. RICK SCOTT (R-Fla.): Evacuate, evacuate, evacuate. GWEN IFILL: Florida Governor Rick Scott was out early and often today, telling people to leave. GOV. RICK SCOTT: Are you willing to take a chance to risk your life? Are you willing to take a gamble? That’s what you’re doing. If you’re reluctant to evacuate, just think of all the people this storm has already killed. GWEN IFILL: Many heeded the warnings, as heavy rain began falling in Miami. Interstate highways across the region were turned into one-way routes to speed the exodus. MAN: I’m thinking just to get as far away from the flood zone as possible. GWEN IFILL: Others hastily boarded up homes and businesses, and thousands checked into shelters. WOMAN: It’s too risky to stay, and just wanted to stay safe and really hope we have the grace to accept the aftermath. MAN: You cannot replace your child’s life or your mom’s life or your kid’s, dad’s, anybody’s life. Things are material. You can always replace your things. GWEN IFILL: And whether they were going or staying, people everywhere flocked to buy gasoline, food and water. The threat of Matthew is also forcing widespread cancellations and closures of everything from college football to theme parks to airline routes. This afternoon, President Obama declared a state of emergency for Florida and ordered federal aid to help on the-ground efforts there. The Federal Emergency Management Agency, or FEMA, has deployed people and supplies there and to Georgia and the Carolinas. I spoke to the agency administrator coordinating the federal response, Craig Fugate, from FEMA headquarters late this afternoon. I began by asking how FEMA prepares for such a massive storm. CRAIG FUGATE, FEMA Administrator: Well, we basically get ready based on the storm track, potential impacts and looking at four states. So, we divided up teams to go into each of the state emergency operation centers, and we have set up some supply bases that can support multiple states, so we can shift to wherever the heaviest impacts are. But we have been getting ready for the storm for the last couple of days, just like a lot of the states and local governments have been doing, before this storm makes impact. GWEN IFILL: So, you have been trying to preposition resources in places where they might be needed. How do you tell where that is, the places that might be — it might be needed, but might also be the hardest-hit part of the impact? CRAIG FUGATE: Well, part of it is looking at the overall track guidance to making some decisions about, where can we move things close to, but not in the area of impact, and then shift it as we get more information on the storm track. So, right now, we have moved stuff into Albany and Fort Bragg. Working with the state of Florida, we’re actually moving stuff down to their operations center where they have a big logistics base in Orlando. So we try to move as the storm shifts to just stay outside of the heavy-hit areas, but close enough where we’re going to be able to get in quickly to support the state and local responders. GWEN IFILL: What do you do when the governor of a state, for instance, of Florida, said evacuate, evacuate, evacuate, and people don’t do it? CRAIG FUGATE: Well, I have been in that role at the state level and at the local level. And that’s one of our challenges. And that’s one of the things you can help, explaining to people, showing them the hazards. But I think people understand we don’t have enough certainty of track forecast to tell people, you’re not going to be at risk or you’re at risk. We have to warn the area based upon the forecast. And sometimes it’s not that bad, and that’s actually good, because you can go back home. But if it is as bad as forecasted, I have actually listened to the 911 calls. There will be a point tonight where it’s too late, people cannot be rescued, they didn’t go in time, they’re going to run out of options. And, unfortunately, that means they may lose their lives. This is all about life safety. That’s why we’re so adamant about getting people to evacuate out of these areas. And, yes, if it’s not bad, go back home. But you have something to go back to. We can always rebuild, but we cannot replace lives lost. GWEN IFILL: What about coastal infrastructure like NASA launch pads, for instance? That’s right at the center of the potential hit zone. CRAIG FUGATE: Well, we have a lot of critical infrastructure. You have NASA. You have several military bases. You have the Port of Jacksonville. You have Port Canaveral. There’s a lot of things that have not been through hurricane conditions in a very long time, if ever, for the life of those structures. So, again, we get ready for the impacts. We expect to have substantial damage if that eye wall is coming ashore at a Category 4 or Category 3. But we can’t really do much about that right now. What we can do is get people to safety and then be prepared to respond afterwards to begin the response. 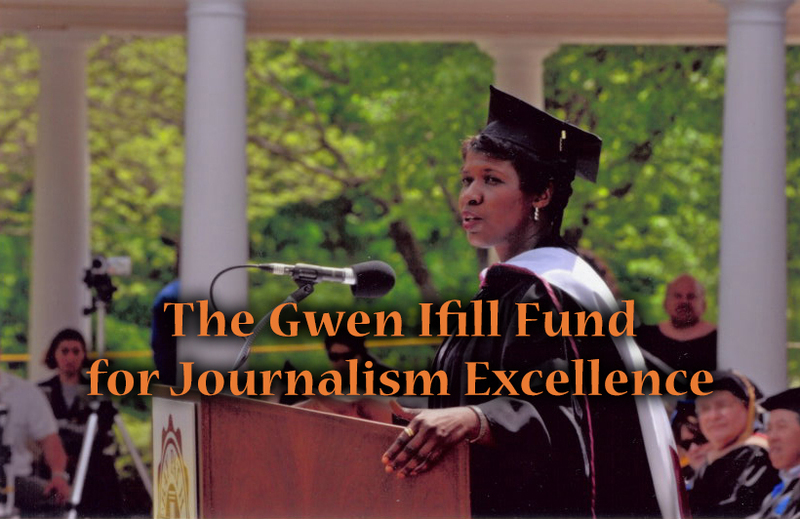 GWEN IFILL: What have you learned from past disasters like Hurricane Hugo, I think, 1989, that prepares you for now? CRAIG FUGATE: Well, one of the things you will see along this part of the coast is, as you get further north, storm surge values will now go — I think you’re seeing in a lot of areas 10 to 12 feet. As you move into the Carolinas, particularly South Carolina and Northern Georgia, it even gets higher. One of the things we saw in Hurricane Hugo is how far inland storm surge can go, in some cases over 30 feet of water that went in miles and flooded communities that didn’t even think they were on the coast. That’s why it’s important that people heed those evacuation orders, particularly around rivers and the tributaries like the St. John’s, the St. Mary’s, up through the Savannah River and all those basins, because water can travel far inland and cause flooding well away from the coast, if people aren’t aware of it. GWEN IFILL: Which is more dangerous, or is it possible to quantify it, the actual landfall or the surge that you’re talking about? CRAIG FUGATE: If you go back in history, the most deadly parts of the hurricane has been water. And the majority of that and the large loss of life has been due to storm surge events followed by heavy rainfall. Wind is actually not as deadly as people think it is, although they tend to look at the wind field and look at that as a risk. What has historically killed people in past from hurricanes has been water, storm surge. That coastal flooding has been the leading cause of death. And that’s why we’re so adamant about getting people to evacuate. We spend a lot of time and resources to map those areas ahead of time. But it only works if people heed those evacuations and go to higher ground. GWEN IFILL: How many people would you say — there are so many tourist destinations in this particular stretch of the coast — will be stranded tonight as a result or tomorrow? CRAIG FUGATE: Well, they shouldn’t be stranded, because, again, a lot of times, as we work at the local levels — and this is something that when I was in the county in Gainesville. We used to worked with the hotels and motels, like when we would have football games. And most recently, we just got the update that the Florida-LSU game is going to be postponed. We look at our tourist as some of the groups we need to get out early. Many times, they don’t know the plan. They don’t know where to go. So we work with the local visitors and convention bureaus to make sure they get out safely, because that’s one of the things we have learned in the tourism business. The safety of our guests is of paramount importance. We want them to get to safety first. We will get the rest of the population out and then we get ready to start the recovery process. GWEN IFILL: FEMA Administrator Craig Fugate, I know you have a long night ahead of you. Thank you for taking some time for us. GWEN IFILL: A second Atlantic storm grew into a hurricane today. Nicole is some 330 miles south of Bermuda, with winds at 85 miles an hour. For the moment, it is not a threat to land. President Trump toured the devastation caused by the deadliest and most destructive wildfire in California’s history and said he would press for better forest management to prevent future infernos. Catch up on the headlines you might have missed this week. President Trump rallied his supporters in northwestern Pennsylvania on Wednesday evening by proudly ticking through a checklist of how he sees his record, despite Hurricane Michael barreling toward several states.